Beauty products don't have to have expiry dates on them, however, in the UK a lot of cosmetic companies have started to do so. I have never even noticed this until I actually looked for it. This isn't printed in the same way that it is printed on food, a lot of the products I looked at had a tiny picture of a pot with 6M, 12M or 24M written in it. The M stands for months. To make it slightly easier I thought I would put together this little of guide to out of date make up for you, I think you might be just as surprised as I was. 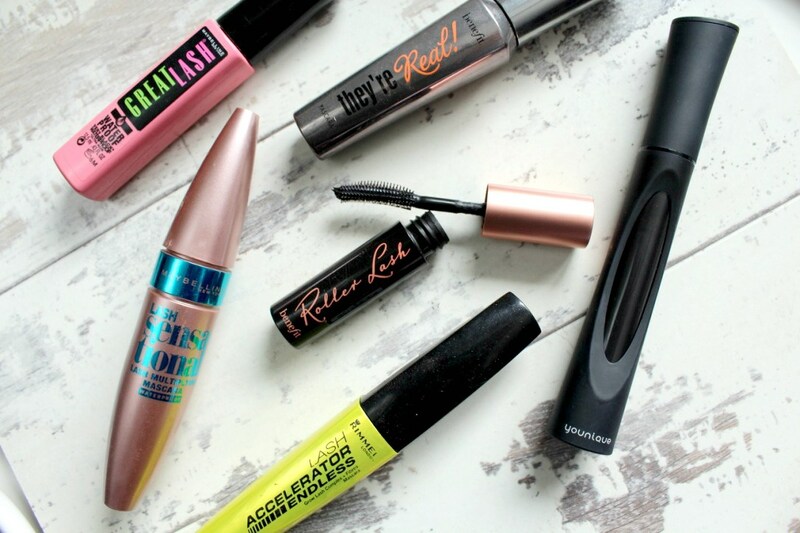 Mascara, once opened should only be used for 4-6 months due to a number of bacteria that can build up and grow inside the tube. On my Rimmel London Mascara, it was dated 12 Months. 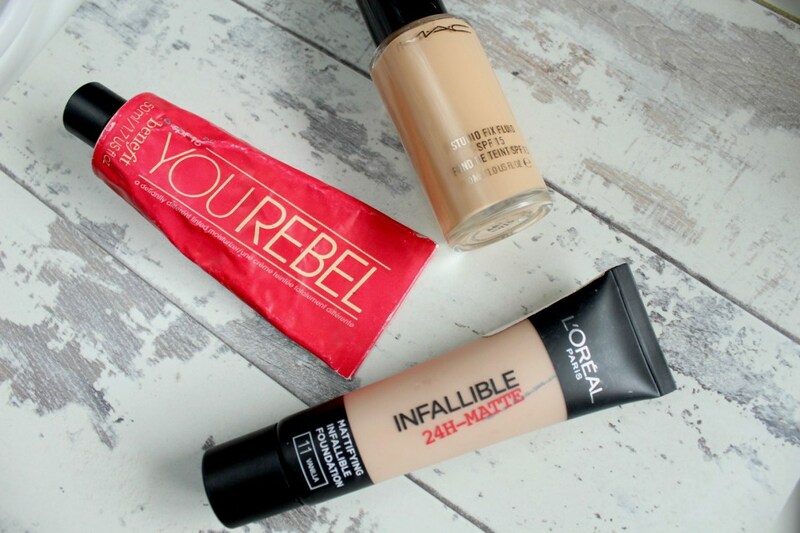 Liquid Foundations can be used and kept from anywhere between 6-12 months if you find that it has changed in consistency or is starting to separate, it is time to head out and replace it. When I checked out my L'Oreal Foundation this was dated for 12 months, but my Mac foundation was dated for 24 months. Lipsticks are probably one of the main makeup products that we all stash away as you can never have enough different shades of lippy right? 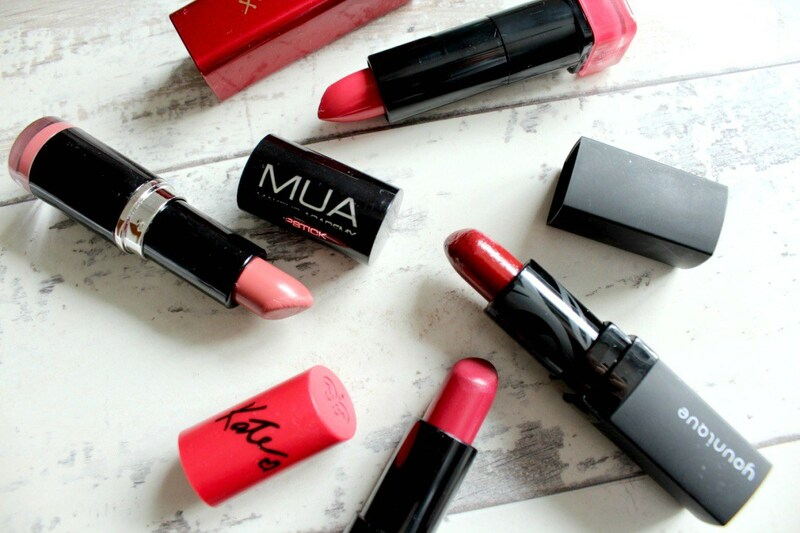 Most lipsticks should only be kept for 12 months, once you have started using them. This could be lengthened if you don't apply them directly to your lips and use a brush as there are fewer germs transferred. Many of the lipsticks I have don't actually have a date on them, but a few of them did, Younique was dated for 12 months, L'Oreal was dated for 30 months, and so was a Rimmel London lipstick I had. They seem to vary quite a lot, but just keep an eye on how dry your lipstick is because they tend to become dried the older they get. 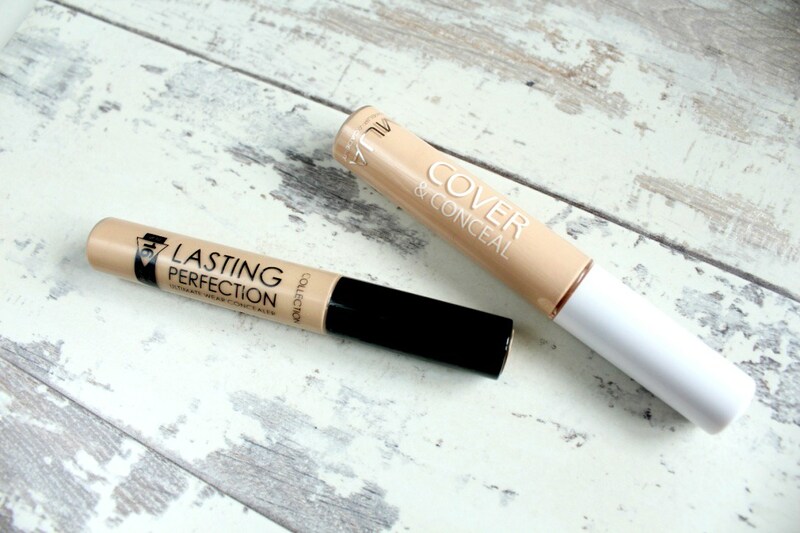 Concealer: Most of the cosmetic companies say concealer can be kept for 12 months, however, I would say it depends on how you use it as if you use the wand or the product directly onto the skin, I would say a couple of months. Think of a number of bacteria that can build up both on the wand and inside/on the product, from spots and blemishes that you are using the concealer to cover up. Nail Varnishes are a hard one as you aren't going to use up a whole bottle of nail varnish within a couple of months, are you! I found that a lot of mine were marked between 12 and 24 months, of course, if you start to find it is becoming thick and sticky and doesn't glide onto your nails it is time to treat yourself to a new one! 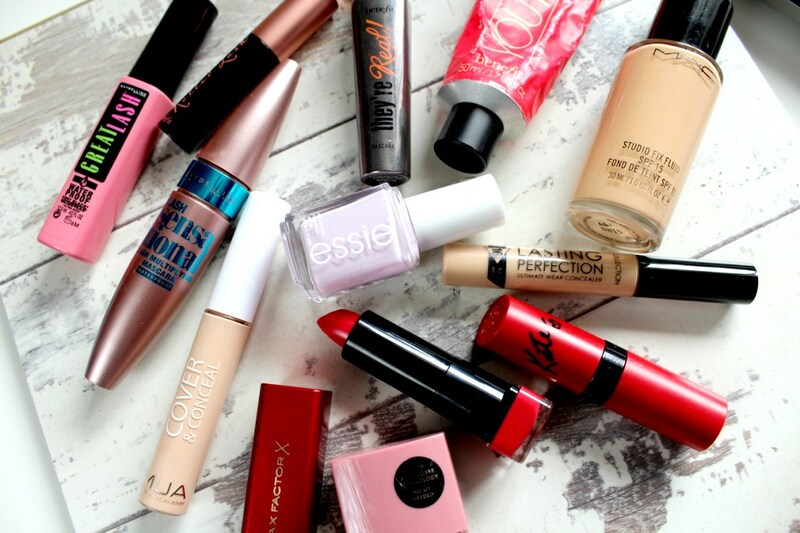 This is just a few of our everyday items, that most of us are going to be using from our makeup bag! If you went into your makeup stash right now how much of it would be out of date?! I would love to know if you were similar to me, and didn't even realise how many products you were storing away that you shouldn't even still be using.